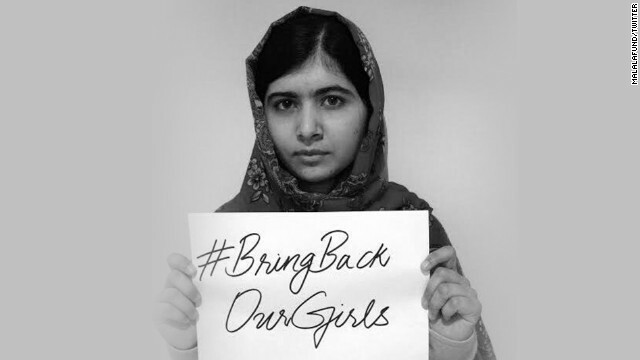 Postcards From Africa #8: Remembering Chibok Girls! 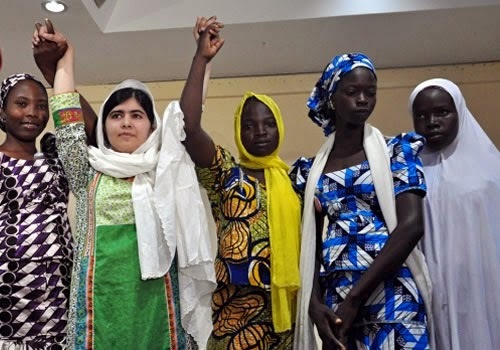 365 Days Later, Malala writes a heartfelt Letter to them. “I want to say to the world you must invest in education because it is very important. On this first anniversary of your captivity, I write to you with a message of solidarity, love and hope. My name is Malala. I am a Pakistani girl your age. I am one of the millions of people around the world who keep you and your families foremost in our thoughts and prayers. We cannot imagine the full extent of the horrors you have endured. But please know this: we will never forget you. We will always stand with you. Today and every day, we call on the Nigerian authorities and the international community to do more to bring you home. We will not rest until you have been reunited with your families. Last July, I spent my 17th birthday in Nigeria with some of your parents and five of your classmates who escaped the kidnapping. Your parents are grief-stricken. They love you, and they miss you. My father and I wept and prayed with your parents – and they touched our hearts. The escapee schoolgirls my father and I met impressed us with their resolve to overcome their challenges and to complete their high school education. My father and I promised your parents and the girls who had escaped that we would do all we could to help them. I met Nigerian President Goodluck Jonathan and urged him to work harder for your freedom. I also asked President Jonathan to meet your parents and the girls who escaped the kidnapping, which he did a few days later. Still, in my opinion, Nigerian leaders and the international community have not done enough to help you. They must do much more to help secure your release. I am among many people pressuring them to make sure you are freed. You will have the opportunity to receive the education you want and deserve. The Malala Fund and other organizations offered all your classmates who escaped the kidnapping full scholarships to complete their secondary education. Most of the escapee girls accepted this scholarship and are now continuing their studies at a safe boarding school and with the support they need. We hope to someday extend that same scholarship to all 219 of you, when you return home. ← Postcards From Africa #6: WAAW Foundation – Changing the Narrative and empowering African Girls through Science, Technology, Engineering and Mathematics (STEM) Education.